JUST RECORDED!! readmydna---Everything is Recorded in Our DNA: Diamonds Forever 31 13 Show Sat January 31 2015 2pm EST; Also Two Surprise Guest's in second hour. HERE IS THE YOU TUBE OF LINK ABOVE. ENJOY!! This blog https://readmydna.wordpress.com/ is to give information about DNA readings, and about what I know to be true in the Universe. My Life Themes are Healer and Survivor. I do readings as a gift only and is a small part of what I do. I have many Sacred Obligations, as we all do, well, those of us devoted to the Light. I prefer that no comments be made here, and that all question be asked by email or phone. My email is readmydna@gmail.com please put reading request in the subject line. I do energy work daily, and my current focus is seeking Justice,and doing everything I can to help bring child trafficking to an end, so I deal with some very dark ones. I love to do Healing sessions for those of the Light. Sending Light to the dark is an absolute necessity. I am a conduit for Zero Point Energy. We call it that now because we have to pull the energy down into this realm through the zero point. When I refer to God, it is always Mother and Father God in Heaven. I am very grateful to Them and the Universe, I usually feel all I have is my Faith in God, and the Love of my family. In 2013 Father and Mother gave me the ability to send demons into the Light. We do it together. What actually happens is, God works Miracles through me, and I give all the credit to God. This happens with ZPE, which is really the Consciousness of God, and it is what powers the Universe, and hold the planets, stars and everything else in place. I have been communicating with Heaven so long I don’t remember the time. When someone I know dies, I always check to make sure they made it. I like to Petition Mother God for a circle of Angels around someone if they are close to the death process. I highly recommend this to all. I have been Healing with various Lights of God for over 20 years, and it has become like breathing. The gift of being able to see and read DNA came in 2010, about 7 months after having my DNA Activated from 2 to 144 strands. My current level is 728,000 Strands Activated, with 89% Sacred Light. Diamonds Shows Every Saturday 2pm EST Health/Catalyst (209) 255 1000 or +1-424-203-8405 Pin 883267# Call via telephone or skype phone, if you have skype to landline credits; (it is only 10.oo for the year). Feline- Humans Are Cats Prrrfect? 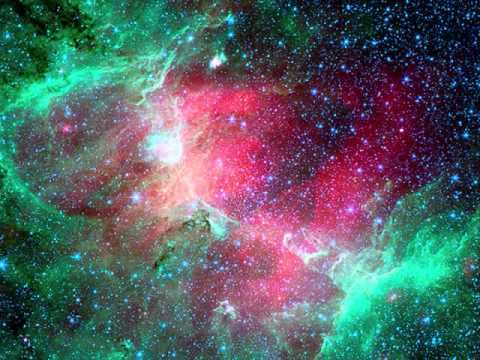 There are 2 species of the 56 species of Humans that are from the Bootes constellation. On the 7th planet of the Arcturus system, and on the 5th planet of the Tau Bootes system are Feline Humans. The Feline Humans of the Tau Bootes system are called Felini, and the name of the Arcturus system people is something I have yet to grasp. CATS is a musical composed by Andrew Lloyd Webber, based on Old Possum’s Book of Practical Cats by T. S. Eliot, and produced by Cameron Mackintosh. Webber and Eliot have both been each type of Feline Humans and Mackintosh has been one, Felini. It is no big surprize this musical was such a big hit, because most of us have been this type of person in our past. Heaven says that over 90% of people who saw CATS have had past lifetimes as Feline Humans. Feline Humans come in all colors, sizes and shapes. Some have violet skin and orange stripes on their faces, while others have orange skin. Cat ears and of course a cat tail. If you have Arcturus in your star lines, odds are you were a Feline Human. If you need help activating memories of being this most “prrfect” species of Human you can call SEKHMET and she would love to assist you! Sometimes when we live in the star system of Nu Ceti, which is the original home of Cetaceans, the Dolphins & Whales, [and others I have yet to know] we fall so in love with them, that we decide to have lifetime[s] in the star system of Nunki. The majority of people there are 1/2 Human and 1/2 Cetacean [Dolphin], and they are one of the 56 species of Humans in our Galaxy. It would go with out saying that they are excellent swimmers, and I have had glimpses of these wonderful people, in memory and reading DNA, but nothing I can pass on in a photo yet. Another subject that I have started to research is how we go from species to species in various lifetimes, and most of us are one type and then another. But one thing I have seen that is fairly rare, is that sometimes we retain a small percentage of a certain species for one reason or another. I assume at this point that perhaps we are proud, or maybe it is love that makes us do it. This species is the first one that I have seen that some people retain. There is a difference between having Nunki in your star lines [past life home and having been this species of Human] and being let’s say 97% Human and 3% Cetacean. I learned that the Sun was hollow during one of my astral travel visits. Many times to cleanse myself, I would fly over to the Sun and park myself so that the fire would pass right through me. I love those loop rings of fire, and they are perfect for cleansing the Soul. After many times of doing this, one day I decided to go into the Sun and see what was up. After passing through a very dark substance, I suddenly appeared on a beach. It was so refreshing and I could feel the cool sand in my toes. I looked around and could see huge mountains off in the distance. A man walked up to me and stuck out his hand for me to shake it. I thought he was far away, but when I looked down I realized he was standing right in front of me and his hand was about four times bigger than mine, and he was easily 9-10 feet tall. We spoke briefly with me not saying much as I was in awe of his size. I later learned that he is a Nephilim, the most common species type of Sun residents. Very large Humans is the easiest way to describe them. As I mentioned earlier in this blog, our solar system is being restored to its former glory and the Sun is no exception. Heaven doesn’t always give me information of future events, just general things. We change our minds so many times anyway, when people ask me about what they will do in the future, I remind them that until they do it, it won’t be recorded in their DNA to be read. What I do know is that all dark entities have to leave. This one primary reason I always include Sacred Light in the reading, because it is a great indicator of where we are spiritually. 51% or more is required to stay. The Nephilim were given a choice. Either move into the Light, or move out. About 11 billion of them left, leaving the current population around 32 million. They were taken by ships to their new home, which is, get this, 300 trillion Light years away in another galaxy. Considering one Light year is a heck of a way to go, I cannot even fathom how far 300 trillion of them are. Other dark ones,arrested and taken from Earth, Dracos, Reptilians, and Insectians are much closer at 3 billion Light years in the galaxy of Aeron. I am told that they have already been tried, and after what they did to me, I don’t care to ask what happened to them. I can tell you it is not fun being around those who eat Humans. I am so glad they are gone, never to return. So the process of cleansing the Sun is complete and those who stayed there have moved into the Light, or given the freedom to be who they really are, Light beings. The dude I met seemed pretty cool, and he is still there. 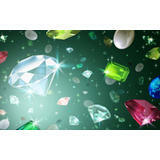 Diamonds Forever Blog were you find weekly News of Our World Changes and Learning Who YOU Really are. 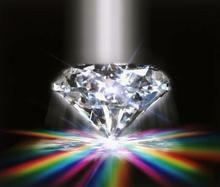 Diamonds Foreer 31 13 Shows Every Saturday 2pm EST Health/Catalyst for the Whole Being!! More Enhancing Catalyst tools to come, to Upgrade YOUR Whole Being; stay tuned!! - And so it is, and so it is, and so it is; It is done!! The Citizen Hearing on Disclosure is NOW AVAILABLE IN SPANISH! We are REALLY excited about this one. CHD2 has published the OFFICIAL Citizen Hearing Testimony on Video-On-Demand in SPANISH AUDIO! This is a very cool, and is one step closer to informing the broader public. Please spread the word. 1) We are proud to say that we are PRINTING THE DVDs! It has been an uphill battle, and we are reaching the summit. The OFFICIAL Citizen Hearing DVDs will soon be off the press and shipped out to all of you contributors. 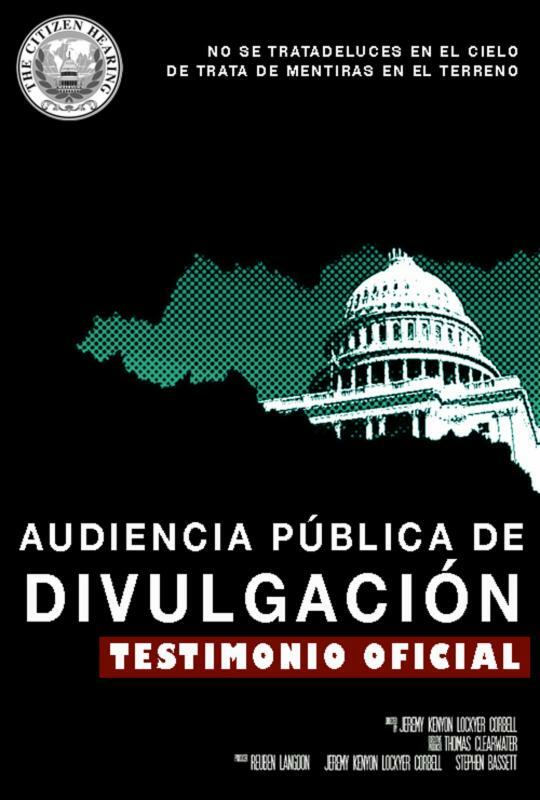 2) The best way to support the production of the Truth Embargo film is by viewing the OFFICIAL Citizen Hearing Testimony in ENGLISH or SPANISH on Video-On-Demand. At this time, all proceeds go towards the shipping of DVDs to our contributors, as well as, completion of the Truth Embargo film. 3) CHD2 will OFFICIALLY represent at the 2015 UFO Congress (hopefully with some DVD BOX sets for sale), so we look forward to seeing you there! 4) We at CHD2 are also looking forward to supporting our friend and Director, Jeremy Kenyon Lockyer Corbell, who will be presenting on Saturday February 21st, just before George Knapp & Bob Lazar at the UFO Congress. 5) Corbell was recently on C2C AM with George Knapp, and you can hear his interview HERE. Citizen Hearing on Disclosure testimony available on our official Video-On-Demand page in SPANISH represents a huge leap forward for the information getting to the public. We at CHD2 are committed to getting this out in as many languages as possible. We are depending on you to share the information with as many people as possible, and spread to the world. Thank you much for your continued support. This is a call to action! Republic News Network Host Bob Barnet welcomes Wolf (Christopher Wolf), for an in depth discussion of lawfully reestablishing constitutional government within your county. THIS IS A CALL TO ACTION TO THE AMERICAN PEOPLE. The focus will be The Committees of Safety, 1775, which were used historically to hold local officials accountable and to educate the people about self-government. This event will be simulcast to several groups and media outlets. There will be a Q&A session. The call is planned to last approximately 2 hours. Restore the Republican form of government in your states and counties! Please watch your email for details and call information. Then please send an email torrb.admin@republicoftheunitedstates.org "request to be added to the RICG email list." If you have already done this, please disregard this reminder. This is an important tool in keeping everyone informed. Thank you! Experience with keeping records and working with computers and email. Highest integrity and dependable. We need dependable folks in those states to coordinate meetings and work with our contact lists. Please consider joining us on this call to talk about and answer questions on filling the vacancies in the "non-green" states, and to educate and recruit more people to the Republic. - link to map of a group near you! Call into Radio programs and request to hear about the Republic for the United States of America. Remember to be respectful! We have a new recruiting tool inblogtalkradio.com/republic This is available for 2 hours daily. Help us use this resource to reach out to the American People. Please view our new Mission Statement. It is located on the front page of our web site. To everyone who has stepped in and helped with the media work and on the conference boards, and also with personal computer issues! It is appreciated greatly! The RICG and Build the States call will be combined. Call information and time is listed above for the RICG call. The RICG number is still just for the officers. The Build the States call number is for the general public. The call will start with brief updates and then go into Building the States and Q&A. Leadership please stay on the RICG number. It makes it easier to separate the Republic officers from the new folks. 1. Please remember to check your state contact emails and opt in form requests. 3. Remember to send your updated paperwork from the states elections for the required national positions to the RRB. This includes an updated LCF-SCF-AUDIT form for the state. If you have any questions, please email the RRB. 4. Recruit! Recruit! Recruit! Please point everyone to our web site and invite them to our calls. direct you to the Republic Donation web page. Please forward this important call information to everyone you know! 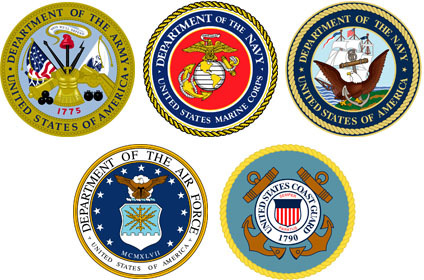 Opinions stated by various contributors to the RNN are not to be considered as endorsed by officers and members of the Republic for the United States. Listeners are urged to use their own discernment to draw their own conclusions.